Unrestricted by roads and vehicles, you will forge your path through the diverse landscapes that Kenya has to offer. 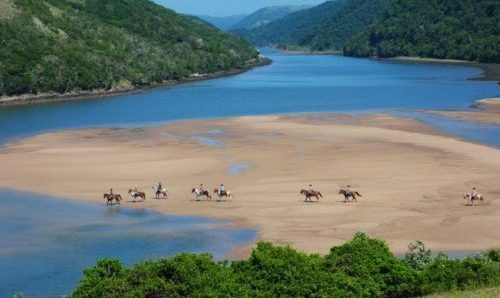 Tuning yourself to the rhythm of your horse and the surrounding bush, taking in its awe inspiring natural beauty. You will be more likely to cross the tracks of a pride of lion than that of a human! 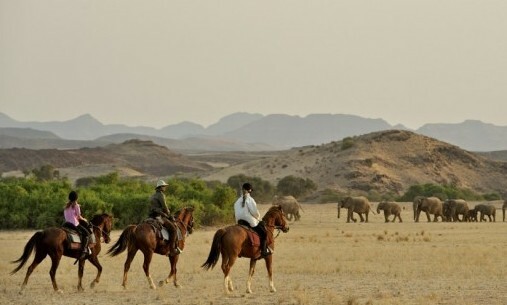 Set in the heart of the Chyulu hills, between Tsavo and Amboseli, you will ride along old elephant paths and encounter some of the magnificent tuskers that make this such a special destination. 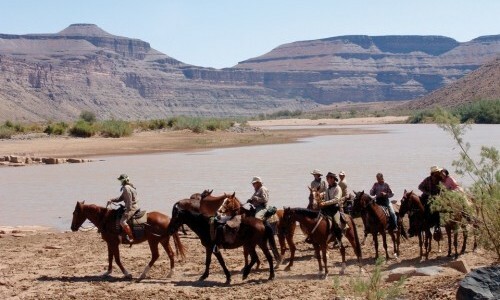 The varied terrain makes for fantastic riding, combining trails up into the volcanic Chyulu Hills and the Wild Olive Tree groves where you may glimpse a shy herd of hartebeest. Each ride set to the stunning backdrop of Mt Kilimanjaro on the skyline. Down in the wide open grass plains, ride among inquisitive Maasai giraffe, herds of zebra, wildebeest and antelope such as the eland, impala, oryx and Grant’s gazelle. You may even see cheetah relaxing in the shade of a nearby tree. In the evenings and during the heat of the day relax in the luxury of the lodge with views for miles over the plains and to Kilimanjaro in the distance. You shall be mounted on some of Kenya’s finest horses who are all well schooled and sensible when riding through the bush and amongst the wildlife. Horses vary from 15hh to 17hh and breeds include Thoroughbreds, Friesian crosses, Percheron and Somali to name a few! 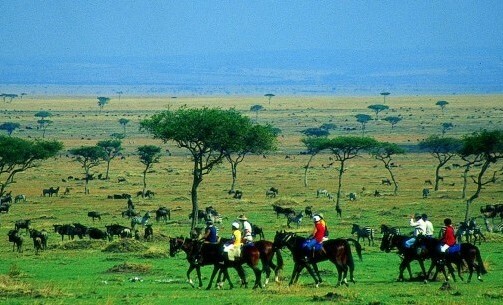 275,000 acres of immaculate, private wild African wilderness that borders the the Chyulu Hills National Park. Ol Donyo Lodge is a blend of contemporary design with the rich culture and history of the Maasai people of the area. 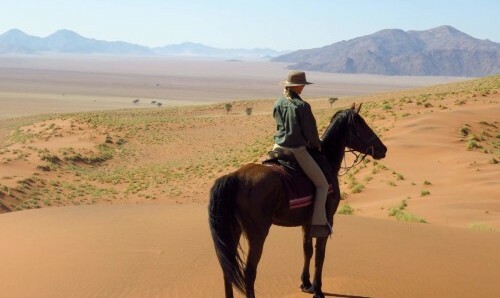 With over 1 million acres – including 2 national parks – through which to ride, this concession is one of the largest in Africa. The area is home to a wonderfully wild and untouched ecosystem with a variety of terrains. From vast plains, dense acacia forests and of course the Chyulu Hill for which the area is named. 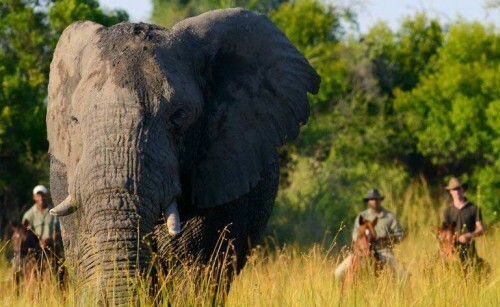 During your stay you may come across some of the 38 species of game found on the reserving, including the world-famous Big Five. Example Day 1: Ol Donyo - Chyulu Hills Wake up on a stunning African morning, and ride up into the hills that form the back-drop to this stunning lodge. Reach the top of one of the hills and take in the spectacular panoramic views from this lush green hilltop. The morning ride is a longer ride, sometimes taking up to 4 hours. On morning's with 4 hours rides a packed breakfast will be carried in saddle-bags. 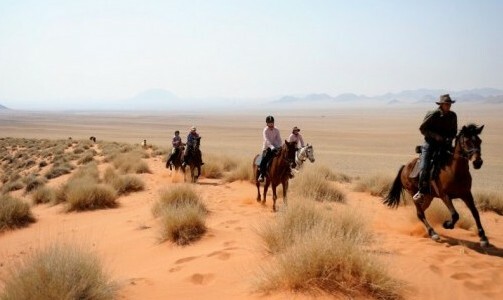 You will need to keep your eyes peeled for the elephants, giraffe, eland and antelope which dot the landscape. 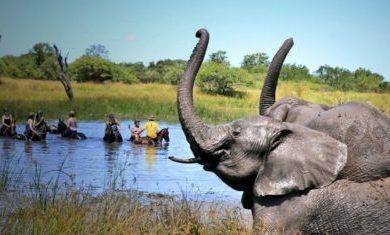 If you would like a break from a saddle-filled morning, you can spend the afternoon enjoying a massage, or watching game from the hide are near the lodge waterholes. From here you can watch the wildlife coming and going as they take their afternoon 'sundowners'. Those that haven't got enough of riding, are able to go on a shorter evening ride. Take an early supper in order to set-out in time for a night game drive. Searching for all those creatures that only come out after dark. Example Day 2: Ol Donya - Chyulu Hills After rising with the sun, and enjoying a delicious breakfast, ride out early for a long ride through this wonderful scenery. 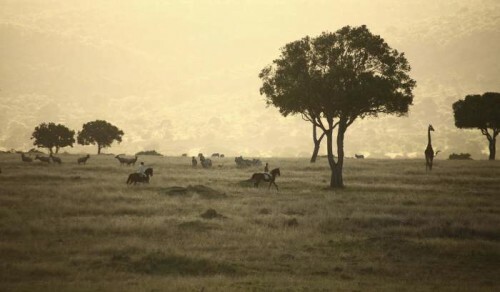 Pulling in mid-morning for a divine cooked 'bush breakfast', set-up in the shade of an acacia tree with the horses tethered nearby. Keeping your eyes and ears open for wildlife along the way. Return to camp for lunch and a siesta before saddling up and heading out towards Crater Camp for the afternoon. After 2 hours of riding up into the famous Chyulu Hills, you will reach a secluded campsite that is nestled into a beautiful cedar forest. 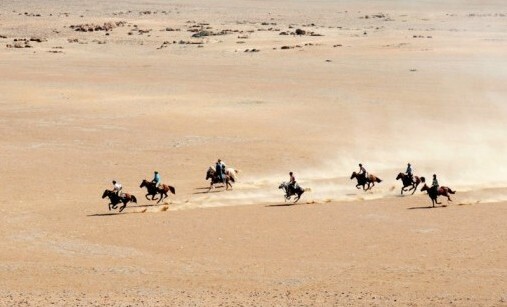 A fabulous day to combine with non-riders who travel from Ol Donyo by vehicle, arriving in the camp in time to climb the nearby volcanic crater. Search for the rare Verreaux’s Eagle which builds it's nest in the jagged out crops. The area is full of interesting nooks and crannies to explore. Sip sundowners as you unwind in this quiet and peaceful campsite, spending the evening sat round the campfire telling stories and soaking up the magic of Africa. Enjoy a slightly more 'rustic; evening in comfortable bell tents, with bedrolls, and hot showers are provided. Fly-Camp Ol Donyo - Chyulu Hills Ol Donyo Lodge’s fly camping experience in the Kenyan wilderness is created for riders and non-riders alike. 3 to 5 night packages at both lodges. Please enquire for nightly rates – Rates starting from $715pppn! For the first four nights of your trip you will be based from Ol Donyo Lodge, a stunning location situated on a hillside with views that stretch out over the plains to Mt Kilimanjaro in the distance. The lodge is comprised of a series of suites and villas where the design is a blend of contemporary and rustic accommodation, merging with the landscape on either side of the luxuriously comfortable lounge and dining area. All of the rooms have their own plunge pool and the use of a private roof terrace where “star beds” can be set up, allowing guests to sleep under a canopy of endless stars.